Getting signed up for the email list involves a two part process. Log onto your email and reply to confirm your subscription. If you are receiving this letter it means you are either family or friends (or both!). We are lucky to have you in our lives and 2018 was a year of appreciating our many family and friends. We are thankful to Ed, Lori, Margaret, and Gerrit for opening their home to Mark as he traveled to Napa to kick off the year with a swim coaching presentation. Two additional west-coast visits for aquatics allowed Mark to visit with Steve, Colin and Kevin. Another magical Memorial Day in Rockport, ME with the Loavenbrucks. So thankful for this family friendship (picture of an impromptu piano concert at the house). And then a Labor Day trip to Rockport, MA for Erik and Catherine. We are thankful for our trips to Philadelphia to see Erik, to watch Grant play water polo, and a fun visit with the McLaughlins. Photo on the roof of our favorite Philly AirBNB. Grant lived in Tampa, FL this summer. Thanks so much to Howard and Michelle for opening their home to him (and to his brother for a quick beach visit). In July, Catherine was thankful for Erik hopping over to Jersey City to visit at a reception (see the beautiful view of Manhattan). In August, we had family time in NY where Erik worked with BCG for the majority of 2018. On to Connecticut where Grant worked with a faculty member who helped with his data analysis related to his neuroscience major at Tulane, University. Thanks to all the people helping him on his path! Erik and Erica, thankful for a holiday in Paris! Erik’s work took him to Dallas several times which meant play time with the Brickner Family. We are so thankful for all the wonderful cousins! I thought a lot about friendship this past year as I traveled to Florida each month to spend time with Aunt Debbi who passed away in August. Debbi is pictured here with her friend, Deb, who is one of an army of friends who saw her through the past two years of treatment and finally hospice care. I have never witnessed a more generous, caring, loving group of individuals and it was an honor to get to know many of them. It is impossible to express how thankful I am for their care of Debbi and of me as I made my way through this life event. I wish all of you these types of friendships. They are precious. 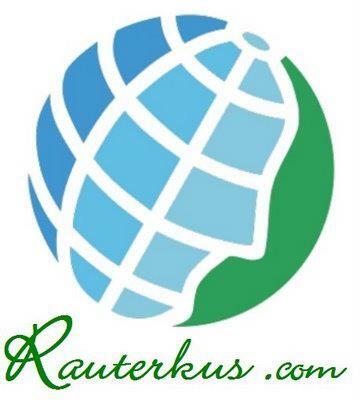 The username @Coach.Rauterkus has been created for Rauterkus.com. and send your Page messages at m.me/Coach.Rauterkus.